Everything we know about Jeff Bezos' marriage with Mackenzie Bezos. Inside the 25-year marriage of the world's richest couple Jeff and MacKenzie Bezos. In one tweet, Amazon founder and CEO Jeff Bezos announced his divorce to his wife of 25 years, MacKenzie Bezos. According to his tweet, their mutual decision came after a “long period of loving exploration and trial separation”, before adding the couple will continue to co-parent their four children. “We feel incredibly lucky to have found each other and deeply grateful for every one of the years we have been married to each other,” he wrote. “If we had known we would separate after 25 years, we would do it all again. While spouses separate for a variety of reasons, the couple previously had only positive things to say about each other and their marriage. And although the couple are notoriously private about their personal lives, here’s everything we know about their marriage and the details of their divorce. So, how did Jeff Bezos meet his wife, MacKenzie? According to a 2013 Vogue profile on MacKenzie, the creative-writing student turned research associate met her future husband when she was interviewing with the New York hedge fund D.E. Shaw. What started out as a lunch date turned into an engagement after three months of dating. The couple then married a few months later when Mackenzie was just 23 years old. “My office was next door to his, and all day long I listened to that fabulous laugh,” she said, referring to Jeff’s iconic part-chuckle, part-cackle. Jeff generously returned the compliment. “I think my wife is resourceful, smart, brainy, and hot, but I had the good fortune of having seen her résumé before I met her, so I knew exactly what her SATs were,” he said. Shortly after their wedding, Jeff left his position as Vice President with D.E. Shaw and they moved to Seattle in 1994 where he began a little website called Amazon.com. What else do we know about their marriage? According to all their interviews, of which there aren’t many, it seems like Jeff and MacKenzie had a very supportive marriage. 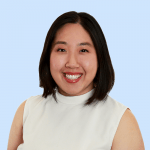 When the couple moved to Seattle, MacKenzie was one of the company’s earliest employees, where she worked as an accountant. However, after having children – three sons and one adopted daughter from China – her attention shifted from her writing career. “After the third child, I knew I couldn’t be the kind of parent I wanted to be and continue writing. Those years were just too busy,” she told Vogue. In the same profile, a close friend of the family and fellow entrepreneur, Danny Hillis, had this to say about the “almost abnormal”, close-knit family. “Family is very important to Jeff, and he absolutely relies on her to create that stable home life,” he said. However, Jeff was also very supportive of MacKenzie’s writing career. She described her husband as “her best reader,” telling Vogue he’s been known to clear his schedule for the day just to read her manuscript in one sitting. Now, why is everyone talking about their divorce? Splashed across the homepages of multiple news sites today were the financial details of the Bezos’ separation, and when you look at the figures, we can see why. Dubbed by Forbes as the “richest man in the world”, the publication reported that if MacKenzie, 48, was to receive half of her husband’s assets, “she would be worth more than $68 billion ($94 billion AUD), making her the fifth-richest person in the world,” a position currently held by Facebook founder, Mark Zuckerberg, who Forbes estimates is worth $53.9 billion ($75.3 billion AUD). Although Jeff’s 16 per cent ownership of Amazon makes up around 95 per cent of his wealth, it’s not the only company in his multi-billion dollar empire. His other business ventures include space-exploration and aerospace manufacturer, Blue Origin, and prestigious newspaper, The Washington Post, which he purchased in 2013 for $250 million ($349 million AUD). 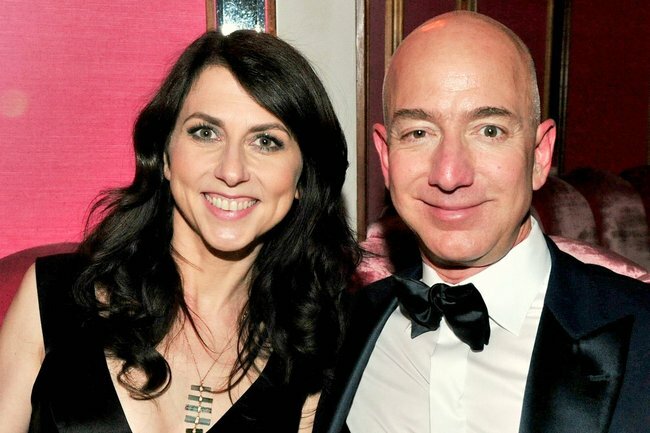 Although we’re not aware of the couple’s prenuptial or postnuptial agreements, speaking to Forbes, Seattle-based divorce lawyer, David Starks, said Jeff’s $180 billion AUD Amazon fortune will be “community property,” which Washington State law requires divorcing spouses to equitably divide. “It seems very likely, if not 100 per cent a certainty, that whatever Jeff Bezos has earned at Amazon has been community income,” he said. Despite this, it’s not known whether Mackenzie will be allowed a portion of his part of the company or just given the monetary value of her ex-husband’s stock and thus allowing him to keep his voting rights. Either way, the astonishing factoid from Forbes truly summarises the financial repercussions of this potential divorce settlement. “Even a one per cent payout would constitute one of the largest divorce settlements in history,” the publication said. And that’s a whole lot of money.